Well, I’m not referring to you darling, don’t worry. I’m referring to my favorite new fruit and vegetable discovery: the limequat and celery root. Now these aren’t particularly new to the world, but I hadn’t worked with them until recently, and I imagine you’ve never heard of at least the limequat. Isn’t that word amazing? I mean it might as well be the name of a prehistoric bird, not a fruit. I love introducing you, dear readers, to new and unusual things. Remember Jerusalem Artichokes? How about the Garbanzo Beans? Fabulous, right? 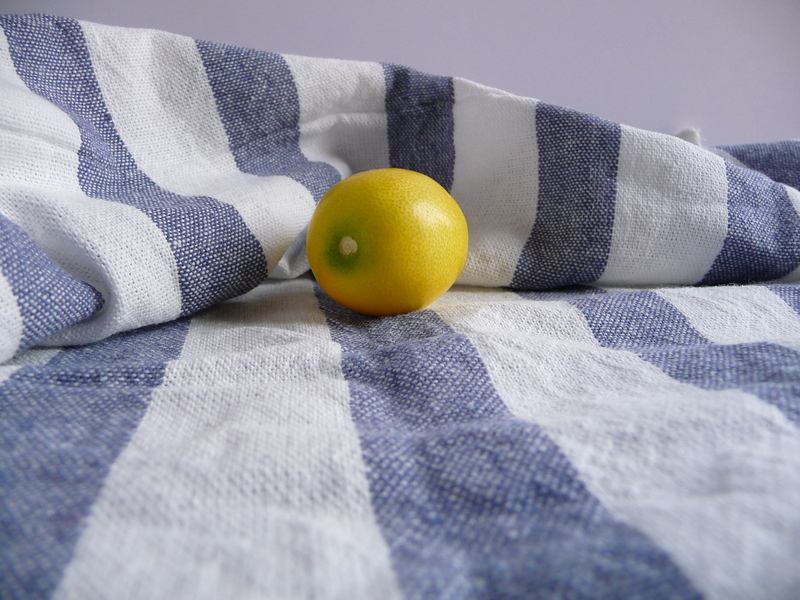 So, let’s start with the limequat. Exactly what the name spells out: a cross between a lime and a kumquat. Genius. Small, about 2″ in length and with a soft, almost bouncy skin. The skin, I learned, is edible, so you can dive into this whole fruit without any waste. The thin rind makes it easy to chew and it dices up lovely. If you can find them (I got mine at the Hollywood Farmer’s Market) buy several and use them in salads, in a couscous or in place of preserved lemon in a recipe. You could also preserve these babies whole. Wouldn’t that be lovely? And you could do that with sugar or salt. I’m drooling over the potential lemony goodness. 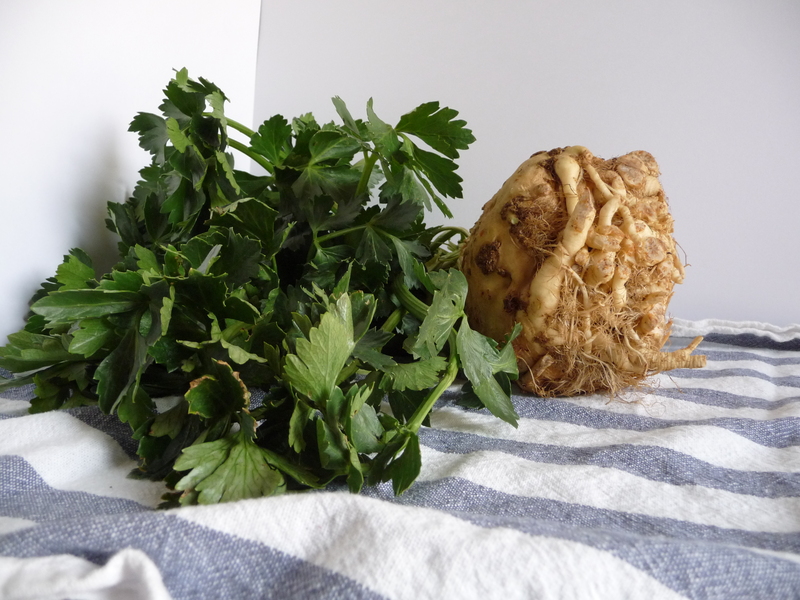 Want to learn about celery root? After the jump. Celery root could also be prehistoric, or perhaps more Aztec in nature. It reminds me of a shrunken head. * Maybe that’s why I’ve never tried them before. Go figure. So I took the leap at the Farmer’s Market in Larchmont this weekend and bought a nice, big and round specimen. Specimen of course being the perfect word to describe the thing you think looks like a shrunken head. It’s actually really lovely when you encounter it in person. Pretty, dark green celery leaves and the faint smell of very fresh celery. Garden-y. First, you remove the brown outer skin and roots completely, then dice or chop for your chosen cooking method. I chose to dice the white, fleshy bulb into small cubes and roast in the oven with carrots, potatoes and onions. They sweeten up a bit into the oven, but don’t retain their shape quite like a starchy potato. Next time, I’ll try in a celery root mash, which I think will retain its flavor better. Now, once you’ve chopped, don’t throw away the stems! Those are yummy little pieces perfect for soup stock. Freeze your trimmings! Take any extra bits and pieces of uncooked veggies and throw them in large freezer bags until you’re ready to make stock. You can do this with any and all vegetable trimmings from your cooking. And it allows you to choose when you feel like making stock, rather than rushing to get some soon-to-be-over-the-hill veggies into use. Just throw the frozen pieces in a big pot of water and boil away for 30-45 minutes until fragrant. Or a little longer if needed. I hope you’ve learned something kids. Learning is cool. So are limequats. *I’m making this up, I have no idea if the Aztecs actually shrunk heads.